It is such a shame to spend money on tender greens, then take them home and find out that they froze on the way back from the store. After many years of experiencing this, I now use a variety of foods, other than baby salad greens, to get greens in the winter. Here is a short list of ones that I like. Tough Leaves. Kale is one of my favourites. It can be stir fried, steamed, or made into some of the best chips. 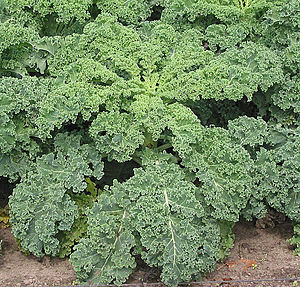 Black kale is more tender and can be used in salads. Collards and cabbage are also great. Rapini and Romaine lettuce can often make it home, no problem. Nutritive Teas such as Nettles. Nettles can also be powdered and mixed with smoothies and food. Matcha green tea is another good option. Hearty Herbs. I love adding fresh flat leafed parsley to foods. Usually, it makes it home without freezing. Yes, it would be bleak to only rely on dried herbs, but I consider herbs, even if they are dried, to be a source of greens. Herbs preserved in salt are also a source of greens, but obviously they can not be the only source without over doing it on salt. Seaweed. I love little snippets of seaweed added to all kinds of foods; pizza, salad, soup, rice or other grains. Sometimes I will add bits of Laver, a wild Atlantic Nori, to a trailmix or I will eat it like chips. Alaria, a wild Atlantic Wakame, can be added to salads or soups. Dulse is nice on pizza, mixed with salsa, or in sandwiches. Kelp chips are fun. Kelp can also be added to rice, beans or soups. Frozen Spinach. At my local grocery store, I can pick-up spinach that is frozen into little individually portioned “spinach pucks.” I quickly thaw out and use these pucks in dishes. I add them to fried shallots and eggs to make a nice plate of green eggs in the morning. Lactofermented Cabbage and Other Veg. In small portions, this will aid digestion, and it adds a little something extra to a meal. If you are looking for a great book on fermentation, check out Wild Fermentation by Sandor Ellix Katz. This is an awesome , well researched and easy to follow book on fermentation. Sprouts. I love sunflower sprouts and I am told that they are really easy to grow. I would like to try sprouting these this winter. Greens powder. This has got to be my least favourite, but I will take them from time to time. Many people claim to have good results with green powders, especially when they take them on a regular basis.